Lighting water features is an important aspect to consider when providing a lighting design to a property. Safely accent your water feature with our led lighting solutions. Water Feature Lighting enhances the beauty of waterfalls, recirculating water features, ponds and fountains. Low-voltage lighting creates a soft light that makes the running water look majestic. Lite It Up uses a number of different design tactics to make sure that your water feature is stunning once the sun has set. 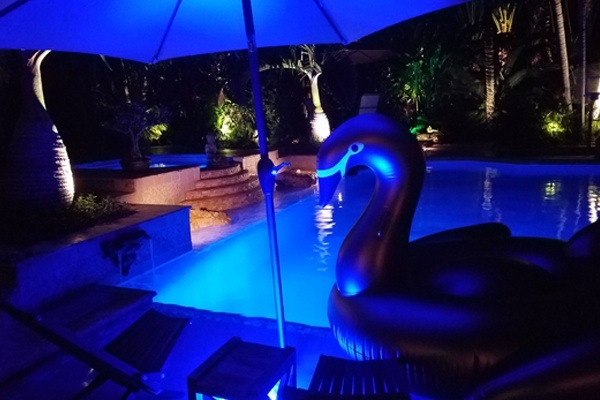 The blue pool colored lighting is a relaxing color to enhance your mood. This is also a great color for your outdoor parties. I can almost hear the trumpet of the swan! 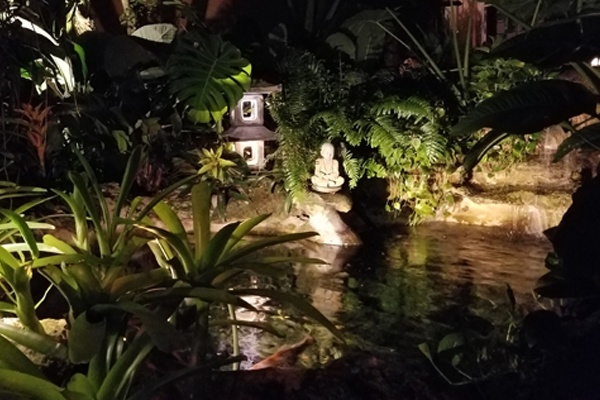 This hidden garden showcases the water pond and statues while providing a meditative environment.